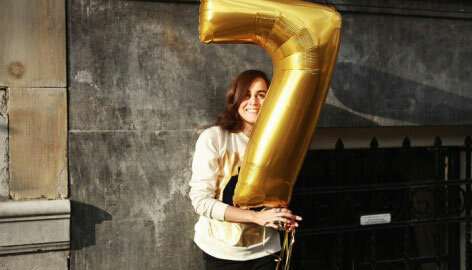 I am madly in love with the collection that Pedro Lourenço designed for Nike. Believe it or not, I probably spend 40% of my time wearing sports clothes, so I’m glad I can go to the gym wearing clothes that don’t make me feel frumpy and can still be stylish. 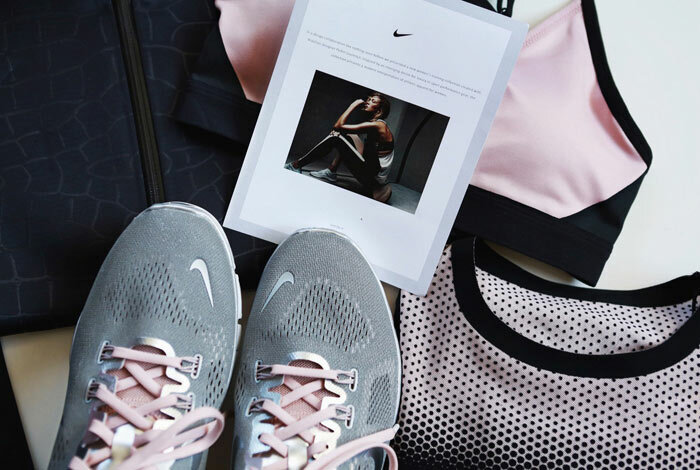 I spend 90% of my time in gym gear too, and this collaboration definitely solves all problems! It would definitely motivate me to exercise more too. Lovely sport outfit and beautiful shot! 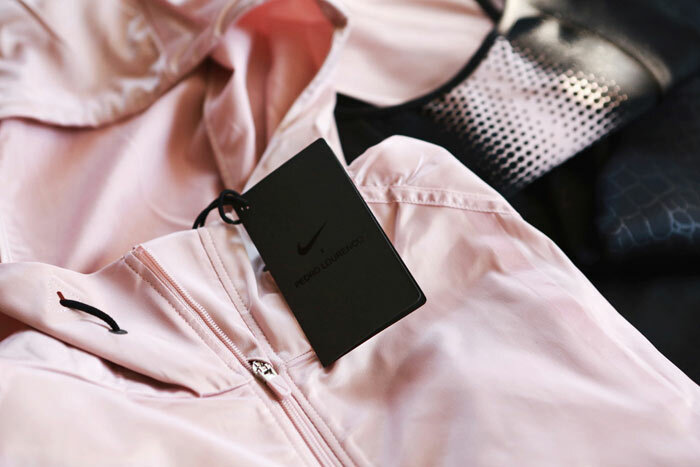 Stylish sportswear is definitely cool and chic! Love the featured pieces, especially the sneakers. Grey and pink look so pretty together! Me encanta y lo necesitooo!!! Donde puedo conseguirlo en US? That’s such a beautiful collection! Ahh, I spot Karlie Kloss! I could give up my rule of always wearing black and white for this collection. What a way to wear pink. BTW Those shoes are amazing! I love Nike and I own them personally, they have great quality opposed to what a lot of people claim and they have the best design in my opinion. The collection looks amazing ! 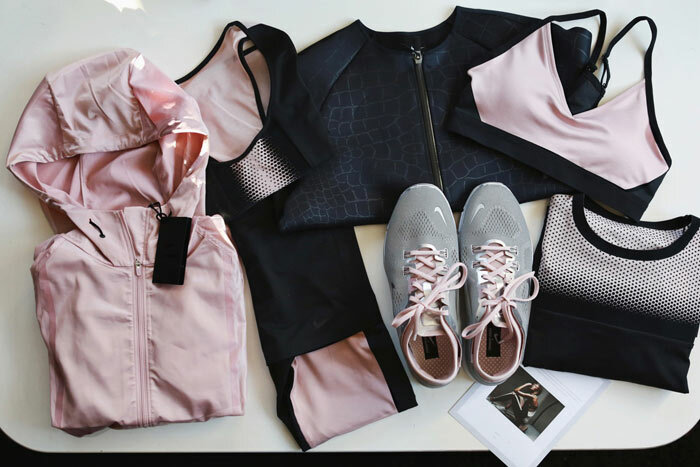 Love this sporty yet chic collection! I’m in love with the colors, never thought grey goes so well with pink! I love the shoes, they have color but they won’t interfere with everyday clothes! All the items look awesome ! I really like this old rose ! Andy, you are one for my own heart. I too like to line up or display all of my daily gatherings to “ponder” them for a while and to, well, to reflect!!! Nice. I totally love your new items! love the sportwear ! the pink color is amazing ! 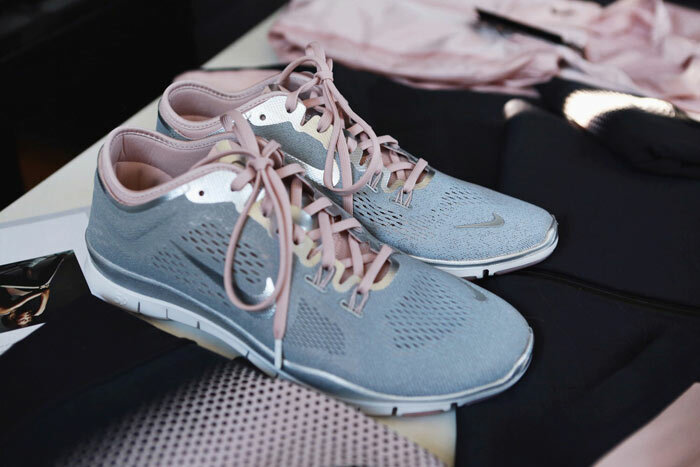 Always on the hunt for cute workout clothes so these look great! Love the tennis shoes especially! Oh the pastel colours are so beautiful. I absolutely love the collection. I love this too. The pink is so pretty and girly! And the black bomber looks so on-trend. i really need to get some new work out gear, mine is all old and scabby! ,ugh make me go a bit more often!! I cannot decide if i would wear this light pink color or not but I really like the design. I love this collection! I really want to get my hands on this. These clothes look really pretty stylish. Wouldn’t mind wearing them to the gym. Those shoes, those shoes! The whole collection looks amazing, I love those pastel pinks, but those shoes… Need those in my life! I love new work out gear! Amazing collection! So feminine and stylish…love every single piece!! Oh, yes! I love this collection! Omg this is such an amazing collection, so feminine, I’d buy everything! Looove it!